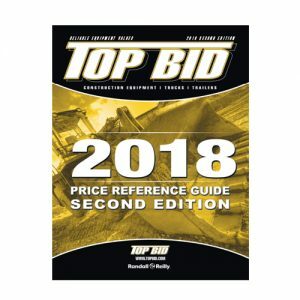 Top Bid – TopBid.com offers construction equipment auction prices and serial number data to help you accurately value used equipment. Every type of equipment – from aerial lifts to crawler tractors – is reported from brands such as Caterpillar, Deere, Komatsu, Case, New Holland, Volvo, Bobcat, JLG, and more. What's this loader worth? It depends. Are you using the most reliable value data available? Top Bid is the choice of valuation professionals. Top Bid’s auction results are highly standardized and verified. Top Bid double checks all auction listings to ensure the model number, serial number, and year of manufacture agree. When investing in equipment, you buy the lowest “total cost of ownership,” not just the cheapest purchase price. 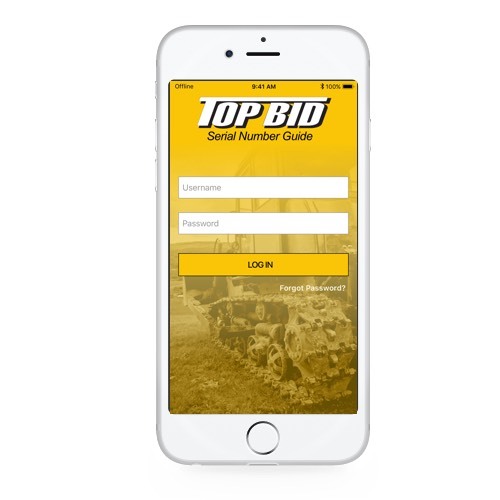 Similarly, Top Bid offers you the lowest “total cost of ownership” for your equipment value data. Since our client base buys, sells, and appraises equipment mostly in the U.S., broad U.S. coverage provides the most applicable values for your needs. This website also provides resources to help you understand an equipment’s value.The trend charts help you anticipate where the value of your equipment is going. Verify equipment age from anywhere. No cell service or internet required. Login once and access anywhere. Validate the year of manufacture to ensure a reliable value. Avoid paying too much for used construction equipment or not asking enough when selling your current equipment. An error of just one model year (2005 vs. 2006, for example) can change the price by thousands of dollars. 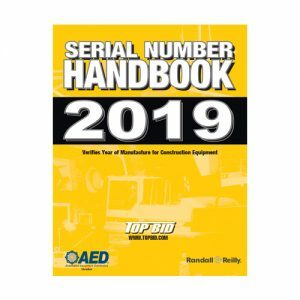 Top Bid publishes the Serial Number Guide annually. Each year new models are added and other revisions made.